The Radar for Icy Moon Exploration (RIME) on-board the JUICE (Jupiter Icy Moon Explorer) mission successfully passed the Preliminary Design Review (PDR). The PDR is a key milestone for the development of the radar. The review process has been very articulated. It started in mid July 2016 and ended on 14-15 December 2016 with a co-location meeting in ESA-ESTEC (Noordwjik). The overall instrument review was conducted by the European Space Agency (with the support of Airbus, the JUICE spacecraft Prime Contractor). 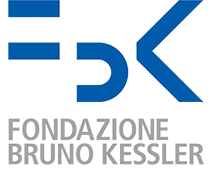 The process involved as key events: i) the Italian Space Agency review for the Digital Electronic Unit (Rome, 16 November 2016), and ii) the NASA review for the Transmitter, Receiver and Matching Network Units (Pasadena, US, 29-39 November 2016). The RIME team successfully completed all the steps.